I got my husband on board for taking a day trip to Julian by fitting in some off-roading in his prized Jeep in the Laguna Mountains after. We set off in the morning on a Saturday and decided to drive through Ramona and stop at the Santa Ysabel location because I knew they had a bigger selection of donuts, in my experience than the Julian location. We arrived late morning, I expected a crowd like the Julian location, but it was still early and there were only locals picking up some coffee and pastries to go. 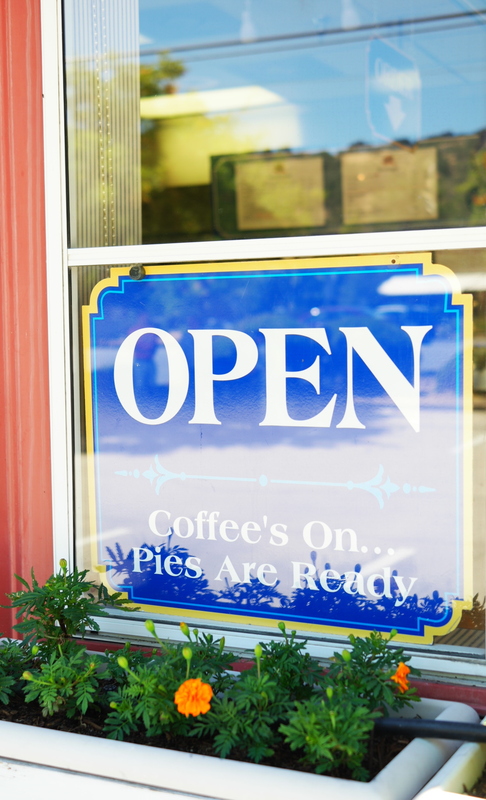 The sign on the door is true, you begin smelling pies from outside. As you walk up to the door the intoxicating smell of baked apples and comfort hit you before stepping inside. I was seriously trying to contain myself from pushing my family out of the way to get to the freshly baked goodness. So many pies to choose from! 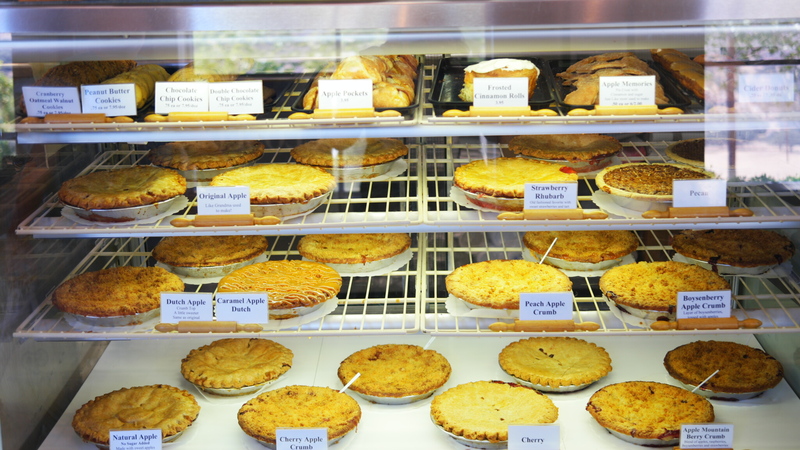 You can find all sorts of variety of pies from Original Apple, Caramel Dutch Apple, Cherry, Peach, Strawberry Rhubarb, Pecan, etc. And you can’t forget ice cream to go on top of a warm piece of pie. 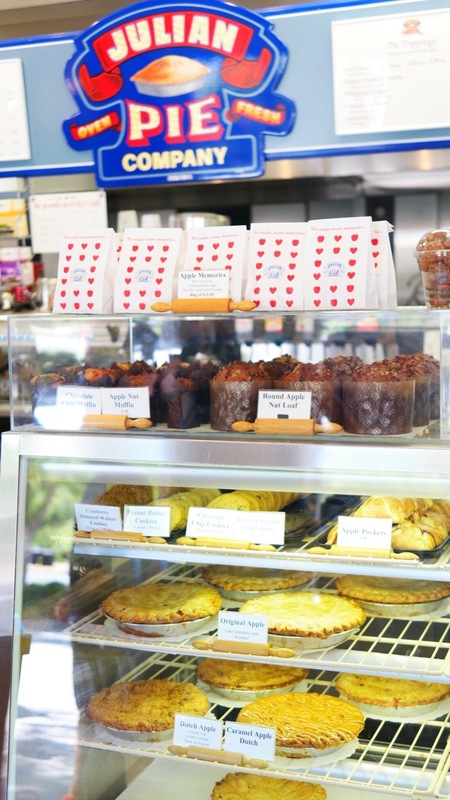 They even have cookies, muffins, turnovers and more. 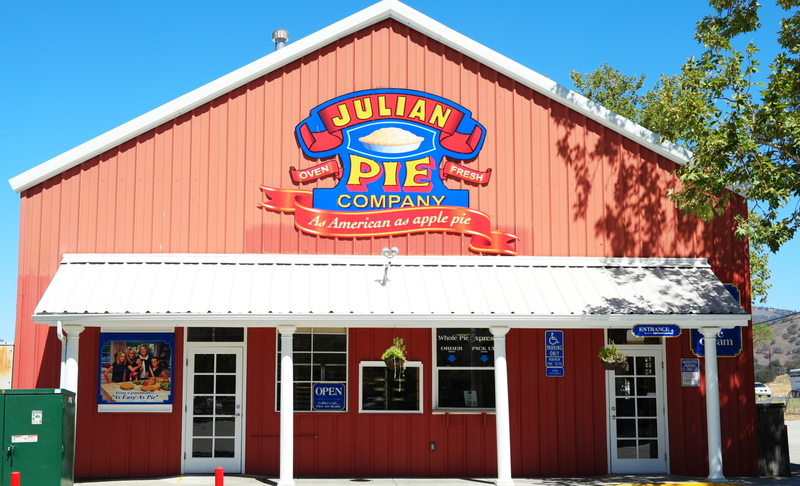 Julian Pie Company also serves cookies, muffins, caramel apples, quick breads, huge cinnamon rolls, pie crust cookies, which they call Apple Memories, a variety of cider donuts, and cider donut holes. They also offer coffee and espresso drinks, as well as tea, juice and soda. 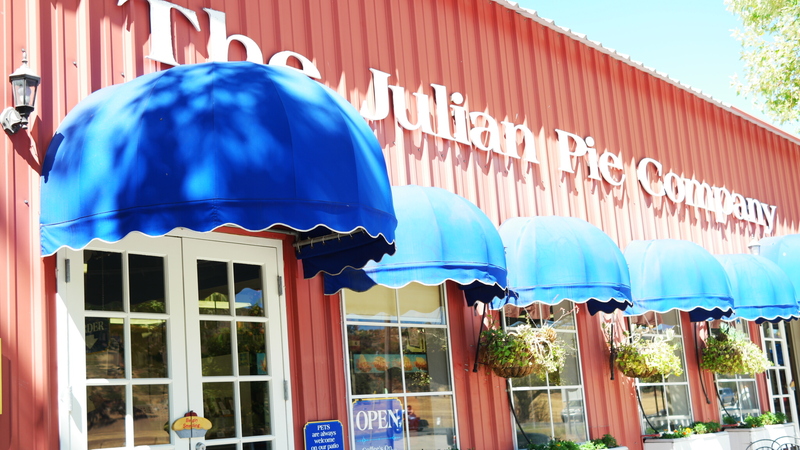 Since we were heading next to Julian, I only wanted to get cider donuts and save the pie for later. 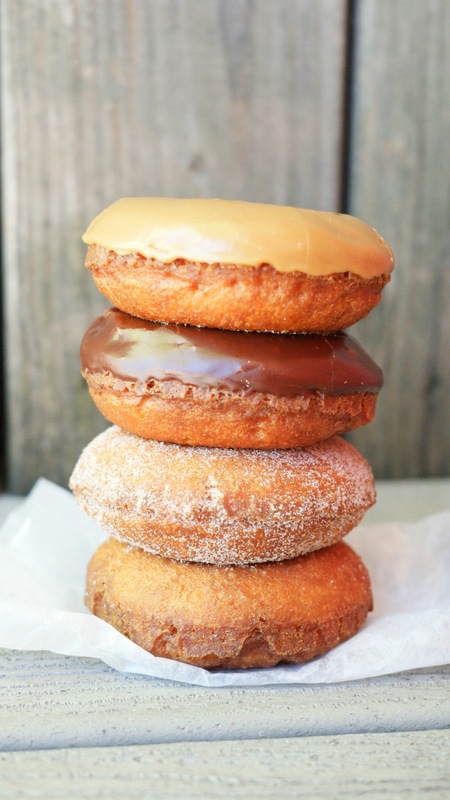 The cider donuts came in plain, cinnamon-sugared, chocolate glazed and maple glazed. I ordered one of each. They also sold the most adorable cup full of cinnamon-sugar donut holes, which were irrestible. I couldn’t even pick one favorite of the bunch. The chocolate and maple both complimented the apple cider flavor. 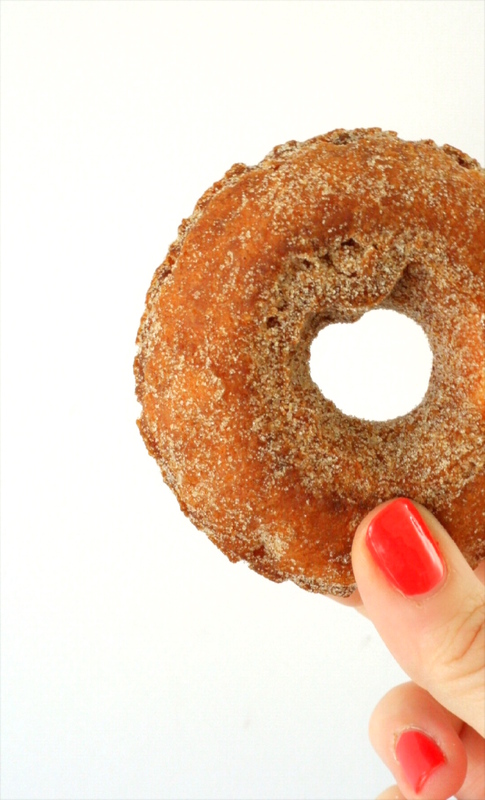 The cinnamon-sugar gave the donut great texture. And I admit, I am always a sucker for a plain cake donut. They all had a nice crispy crust on the outside and moist inside. 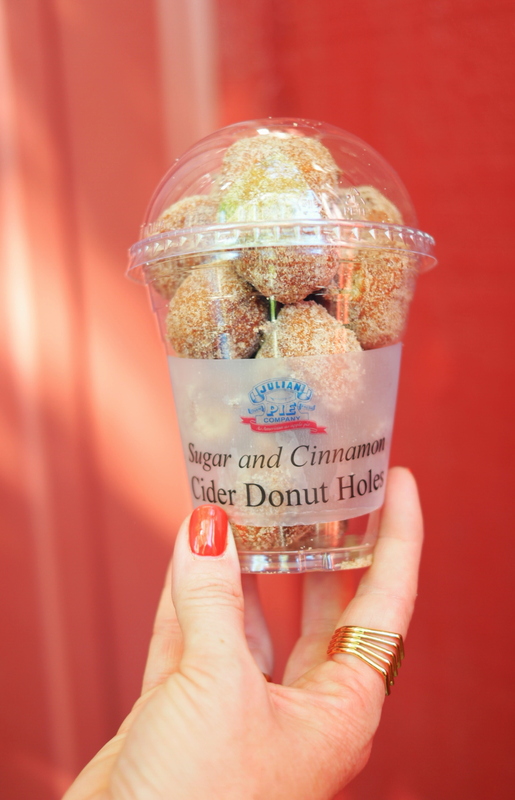 The sugar and cinnamon cider donut holes did not only have the cutest presentation, they were fantastic as well. Each cake donut was fluffy and not at all dense as I expected them to be. The sugar and cinnamon were a perfect balance of flavor that didn’t take away from the cider. And truth be told, we were still enjoying the donuts a couple days after the fact and they were still just as wonderful. And one more Cider Donut for the road! If you find yourself in San Diego or you live here and have never been, hop in the car and head for the mountains. You get to experience Fall for the day and eat up all the donuts and pie to your heart’s content! I want that Caramel Apple Dutch Pie, and I want it now! It usually takes me 2 hours to get there and I would gladly walk it just to get one of those pies hands down there my favorite!